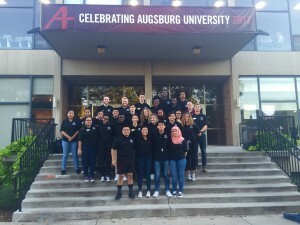 Welcome to the Augsburg Day Student Government website! We aim to further the educational goals and general welfare of the student body. Student government will support and advocate for student concerns, needs, and activities. 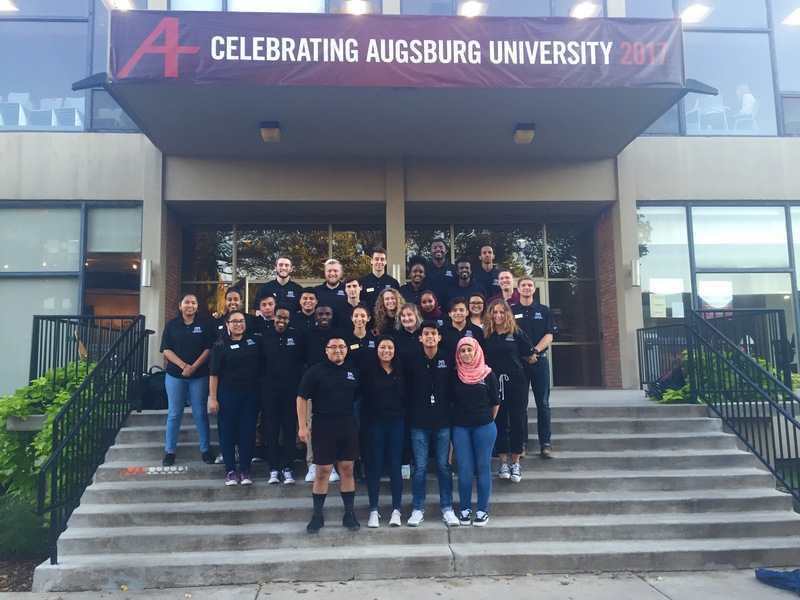 We will serve as the primary student voice and liaison between students and the administration, faculty, and staff of Augsburg University. Please see the attached draft action plan regarding Augsburg’s institutional climate, created by members of Augsburg Day Student Government (ADSG). Student feedback that was gathered during a panel-led discussion held on November 29th titled “What’s Next?” by ADSG. The panel-led discussion consisted of the Student Body President facilitating discussion and six other representatives of ADSG responding to ideas and interests presented by students. Students who were in attendance voiced their expectations of ADSG and the university’s administration. Nominate Faculty for Professor of the Year Award! This award will be rewarded to a professor who has exceeded the standard requirements and expectations that come with their job like teaching and discipline. Not only has this professor performed excellent in both of these areas but has demonstrated an understanding of student accommodations and has implemented them in classroom procedure.